The photo of the week this week comes from my now resting daily photo blog at GBG365. 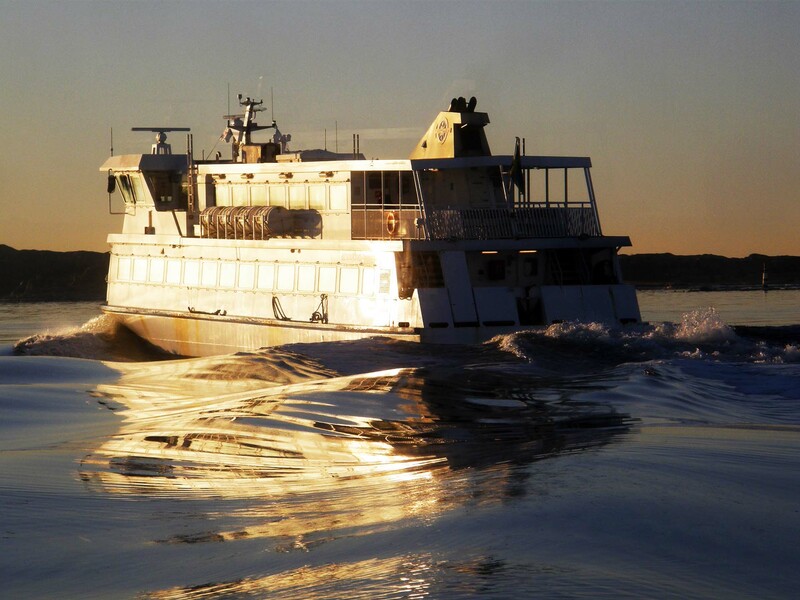 This photo shows the passenger ferry from Saltholmen to Brännö in Gothenburg’s southern archipelago. As it turns it catches a low winter sun. The ferry’s wake barely disturbes the surface of a sea which is as thick as treacle and near freezing this day in early January 2009. I originally posted this picture on 6th January 2013, but I believe I took it on 3rd January 2009. At the time I published it I was laid up with a bad winter ‘flu and not in a fit state to be out playing photographer. There’s a second photo – No wind – that I took at the same time. I posted it to GBG365 a couple of days earlier before this one.